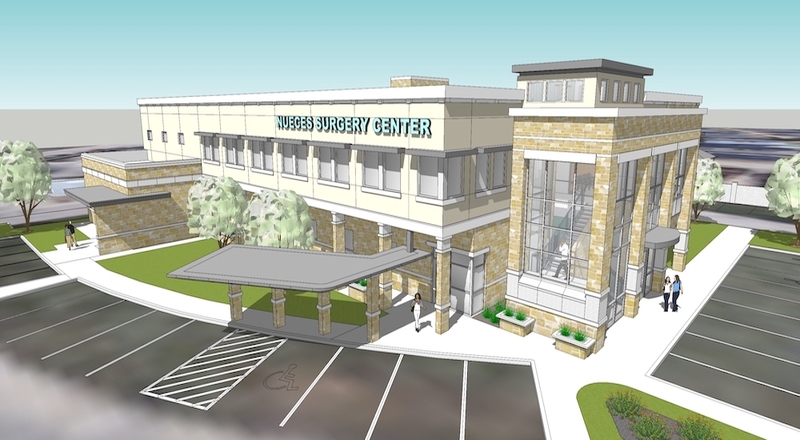 We are developing a two-story building that will be home to The Nueces Clinic and Surgery Center. The building will total 26,600 SF with an Ambulatory Surgery Center (ASC) that includes four operating rooms, offices and treatment areas. The second floor will have a medical office with exam rooms, and a separate diagnostic area with MRI, CT scan, and X-Ray capabilities. We are also adding 2,500 SF of finish out space available to rent. We created a main entry that fuses the two stories together, allowing plenty of natural light inside. The building materials include leuder stone and a smooth stone that will extend into the building. Construction is slated to begin in March. We’d like to thank the Nueces physicians group for partnering with us on this project. It’s been a pleasure to work with them!